Do you want to combine colors as a fashion guru? From 15 to 22 April you may get this master-class with a discount! Would you like to know how to create perfect color combinations in clothing just in 2 minutes? 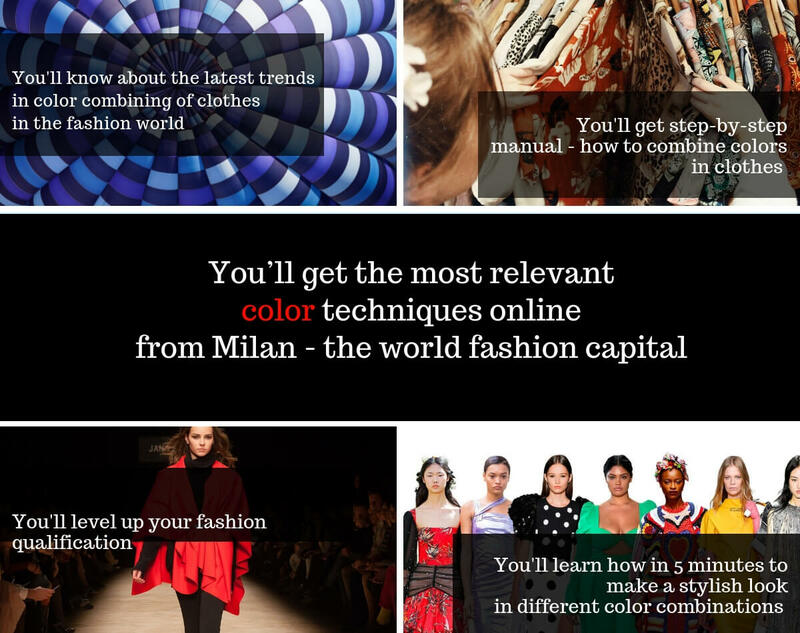 Would you like to combine colors in clothes like famous fashion bloggers and fashion stylists from the magazines? We’ll teach you how to create the beautiful and stylish color combinations in clothes easy and quickly. And you’ll get the information about the latest trendy color combinations in the European fashion world. The duration of the express course is about 60 min. Upon completion of this express-course the student receives a certificate in English and Italian languages. Trendprive Magazine, Design Scene, Lui magazine, Huf Magazine and so on. Fashion designer for CATBALOU KIDS. 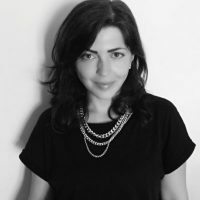 She were the designer of kids wear, women’s and men’s clothes. with fashion, advertising and presentation. All you need to start is an Internet access. You may study whenever and wherever you want. Express course includes the video lessons and the practical home task that will be evaluated by the teacher. You have an opportunity to watch the lessons as many times as you need in our educational online portal or to download them on your laptop/tablet/phone. 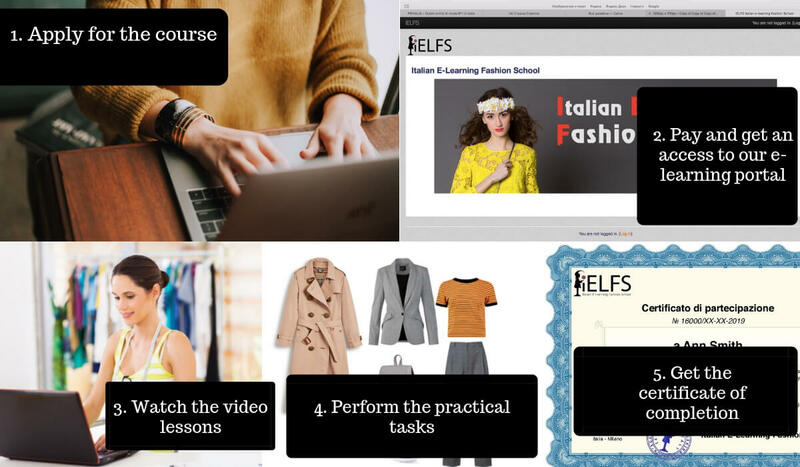 After watching all the lessons and performing the practical task you’ll get the electronic certificate of completion in Italian and English languages.